On July 7, 2011 the union cabinet gave it nod for the Phase III of the FM Policy which will cover 227 more cities with a population of more than one lakh and this was some good news for people of Belgaum as well as it was in the 227 cities listed. But its almost 9 months from the declaration of the policy nothing great had been done by the Ministry of Information and Broadcasting. The auctions of phase 3 had to be complete by March 2012, then it was extended upto April 2012 and now it seems the auctions will only happen by end of August. For radio stations keen on tuning into newer towns, this comes as another setback to their expansion plans. 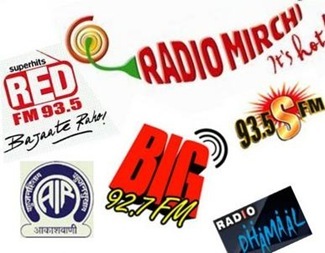 According to estimates put out by a FICCI-KPMG, Media and Entertainment report 2012, the radio industry is expected to grow at 16 per cent CAGR till Phase 3 stations start operations. Post Phase 3, the industry is expected to grow at a CAGR of 22 per cent. In our post dated July 7, 2011 As many 4 FM stations might start in Belgaum, we had mentioned then that it wont happen soon and now it seems the time it will take is still more. Even if the auctions happen by August end another 6-8 months will be needed for other formalities to complete and the FM station to actually work. Belgaumites wait for everything, this is just one more aspiration we are waiting for. People who think they can only start a FM station of their own have a look at this then. As the saying goes ” GOVT WORK IS GODS WORK ” ,Coupling with the saying ” BHAGWAN KA RAJYA ME DER HAI ANDHERA NAHI “. If we combine the statments mathematically. ” THERE IS ALWAYS A DELAY IN THE GOVT’S WORK “.Viewing the statements mathematically. 2G spectrum no auction, coal mines licence no auction….why the hell auction now ??? I very much agree with Nandkishores statment. North karnataka is a neglected region. There are no developments in any infra structure either Industries ,railways ,Airways etc. It this happens there will be a revolution like Andhra Pradesh & telangana. ,in which people of North karnataka will demand for a separate state. i fail to understand why is the auction postponed every now and then that to when it is permitted by the govt. Does it make good sense. Only they know the reason for delay.